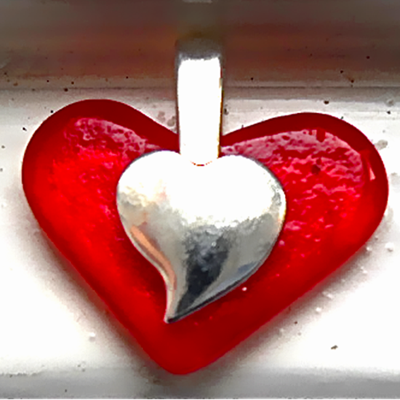 It measures 2cm x 2cm and is made of one layer of translucent Red glass. The silver heart is 0.9cm x 0.9cm. It comes with a 16"x 1mm Sterling Silver snake chain in a Black card gift box.